I love a good reality TV show as much as the next girl. It's a kind escape from a stressful workday. But mostly, I love watching reality TV shows with friends. It's the commentary and the yelling at the TV and the live-tweeting and the getting together just because. I will take any excuse to spend time with friends during the week. 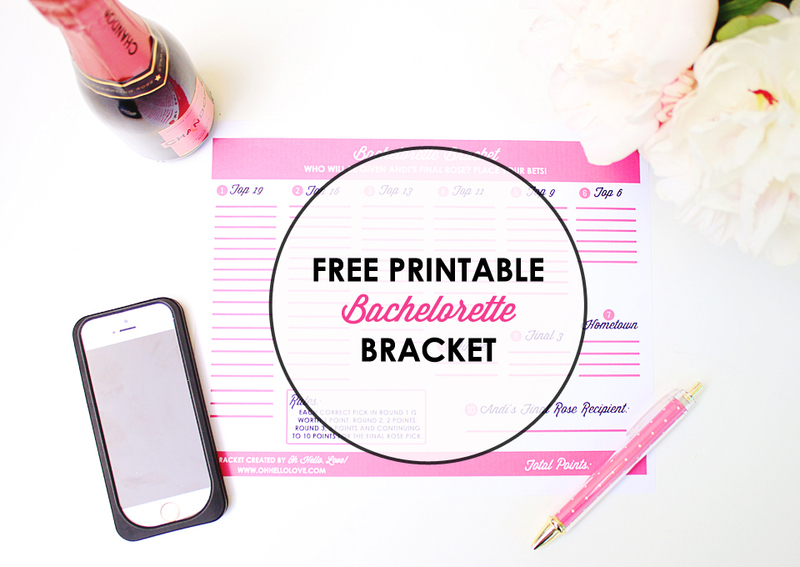 And because I also happen to enjoy competitions that involve little-to-no skill, I've created a free printable Bachelorette Bracket! My friends and I are pretty excited to get together this Monday for the start of this ridiculous show and I thought what better way to watch than by making it a competition. And since our male friends also enjoy competition, there's a slight chance we might even get them to come out and watch. Rules: So the way it works is for each round you get a certain number of points for your correct picks. In the first round, you get one point. In the second round, you get two points. 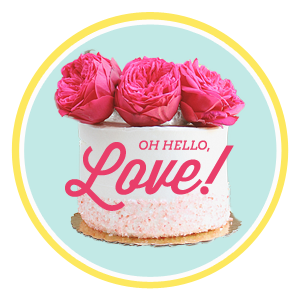 In the third round, three points and continuing until the last round where you get ten points for having correctly chosen who Andi gives her final rose to. The winner of the bracket is the person with the highest number of points. Since picking the first round during the first few minutes of the show may be too difficult, I will re-post this bracket for download with the top 19 already filled in. That way, you'll have a few days to fill in the rest of your bracket before next week's show. In that case, you'd start with each correct pick in round two receiving two points and continue on from there. So grab some friends, some drinks and a bracket and start making your picks! 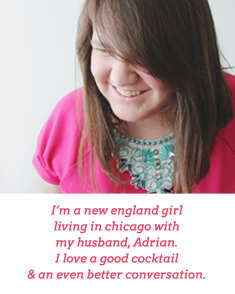 You can find bios of the 25 contestants here. Don't forget to check back here in the next couple days for the revised bracket with the top 19 filled in. 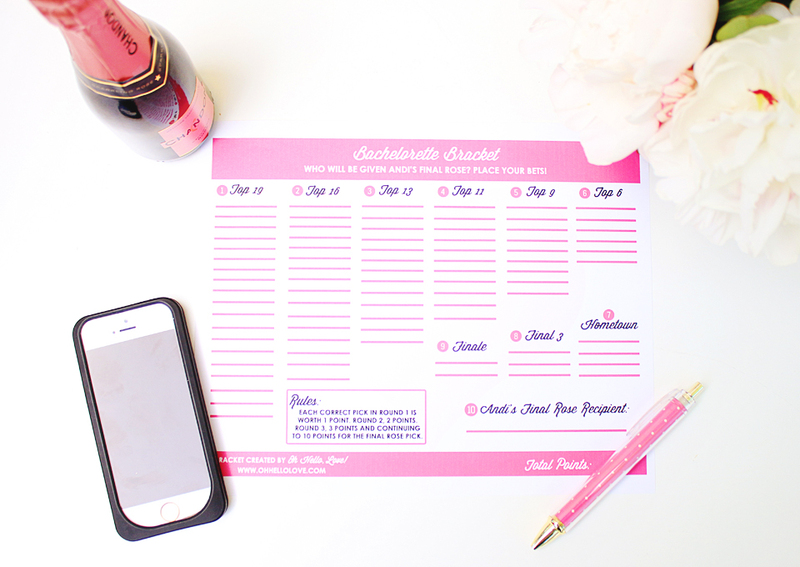 Download your free printable Bachelorette Bracket here! 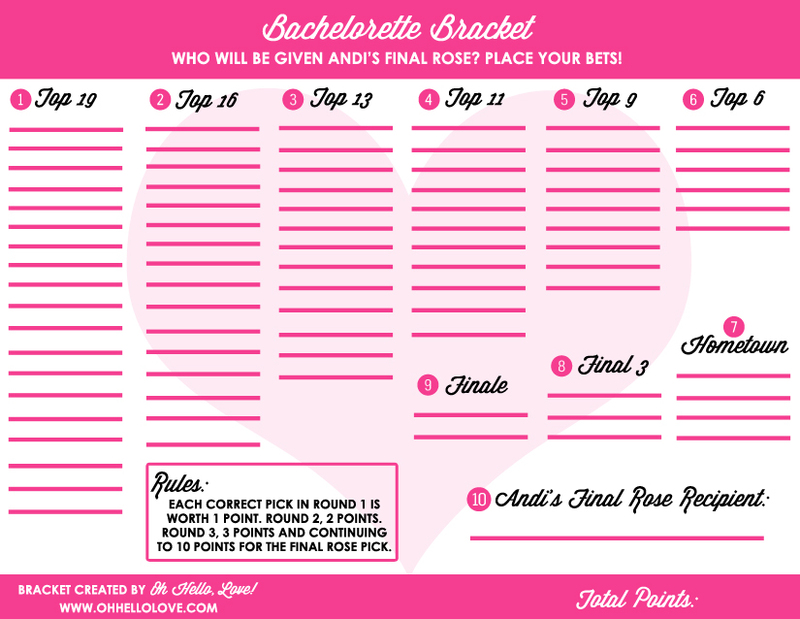 Update: The printable Bachelorette Bracket has been updated to include Andi's top 19! You can download the updated bracket here!